Industrial Cleaning Equipment, Floor Cleaning | KMH Systems, Inc.
Industrial floor care solutions require high performance and versatility. Kärcher Industrial’s automatic scrubbers in both the walk-behind and riding range are built to exceed your expectations. Kärcher Industrial’s sweepers are utilized all over the world in the toughest applications. From their walk-behind self propelled sweepers and up through their big riding systems, Kärcher can apply the correct product. 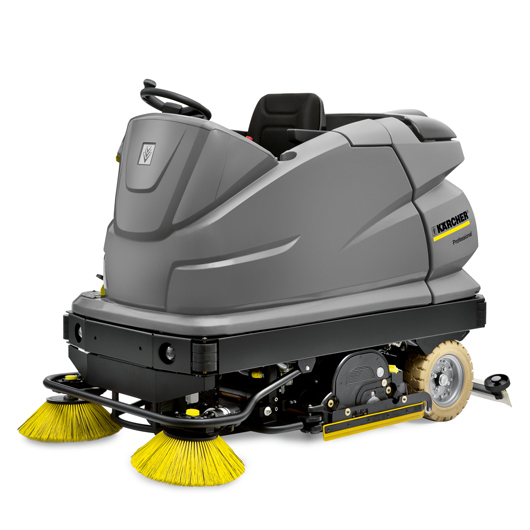 The B 150 R is the perfect rider scrubber drier for surfaces of 26,900 to 64,580 ft². The compact design allows good visibility all around for safe cleaning of interiors. The KIK operating system and the color coding of the control elements make operation simple and intuitive. With a robust and maintenance-friendly brush head, the B 80 is available with roller or disc brushes in 22”, 26” and 30” working widths. Equipped with KIK, a new 4-color display and automatic lowering and lifting of the cleaning head and squeegee, cleaning large areas is now easier. 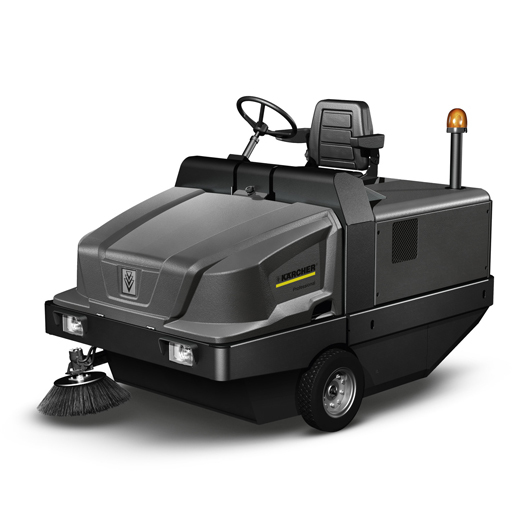 The B 250 R scrubber is the right alternative for hard surface cleaning of large facilities. The robust tubular steel frame meets even the toughest operational demands. Large batteries and a large water tank guarantee long work intervals. Thanks to the single-button control and the colorful control elements, the machine is especially easy to use. With a working width of 67″, this sweeper is a high area performance machine. Thanks to a hydraulic front-wheel drive, it turns on the spot in corridors as narrow as 6.5′ and effortlessly sweeps out corners with the unique sweeping crescent brush. The main sweeper roller is positioned on the rear axle to prevent contact of the sweeping system with obstacles. A new feature is the fully automatic and permanent filter cleaning system using blasts of compressed air. Rigorously designed for efficiency and reliability, with high-quality components. 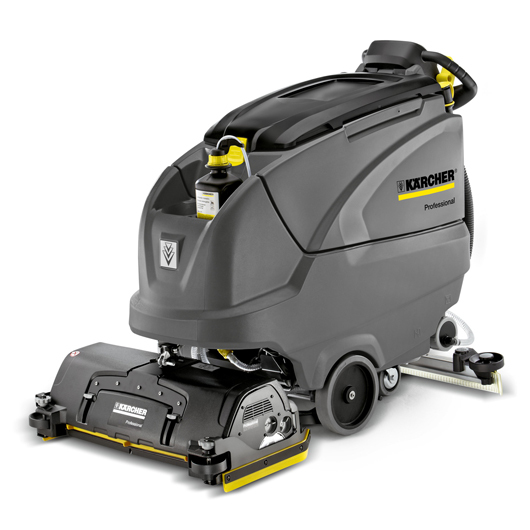 Drive performance, filter and sweeping performance, load capacity and design – these sweepers are in a class of their own. With the exemplary ergonomics and ease of use you expect from Kärcher. 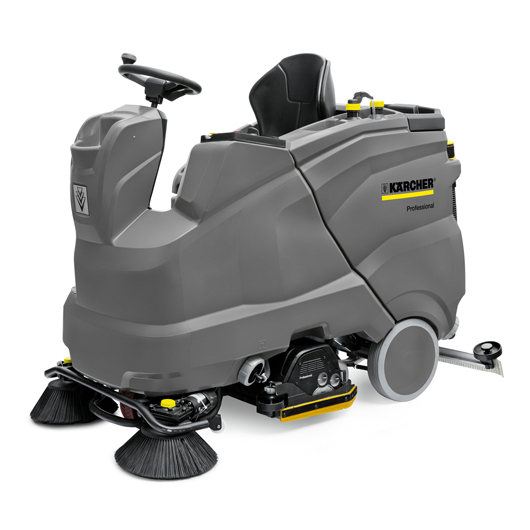 The KM 130/300 R and KM 150/500 R gives contract cleaners, industry, logistics and municipalities exactly what they need. Both models can be equipped to tackle the demands of practically any cleaning job.